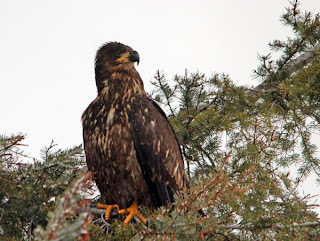 We have been blessed with a presence this past week on our majestic dude ranch from a very beautiful Golden Eagle, one of our guides rescued an eagle last week and to show his gratitude he has been hanging around ever since. Eagles belong to a group of birds called raptors. They are amazing, powerful predators with sharp eyesight, light bodies, and soaring wings. Eagles use their dagger beaks and sharp talons to hunt fish, snakes, frogs, other birds, and small mammals. They are some of the world's largest birds of prey.